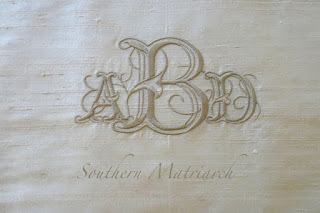 If there is one thing our bride loves, it is a monogram. She was fortunate enough that one of her bridesmaids has a graphic designer for a mother in law. 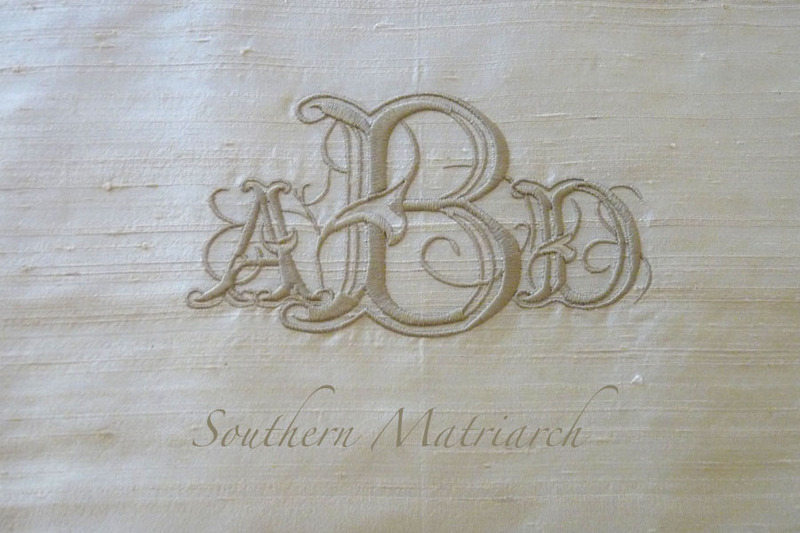 She designed a custom monogram for the couple. We used it in so many places; the menu cards, the napkins for the place settings, and even the center of the dance floor. I had it digitized in order to use it for some other reception accessories. Pinterest can be a wonderful thing or the bane of your existence. Depends on the day and the perspective. 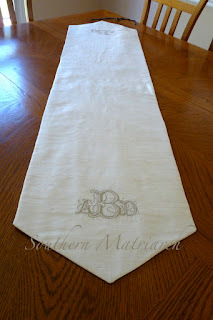 The bride and I had found a monogrammed table runner on Pinterest for the cake table that she loved. It seemed like something we could run with. The reception was a mix of ivory, cream, whites, and silver. I chose ecru dupioni and a darker ecru thread color for the monogram. I also wanted it to be something she could use on her own dining table after the wedding. It is two layers of dupioni with a medium weight interfacing sandwiched between. I monogrammed both ends. Since I was on a roll with the monogram and had enough dupioni left, I decided to to cover a hat box with the dupioni to use as a card box. 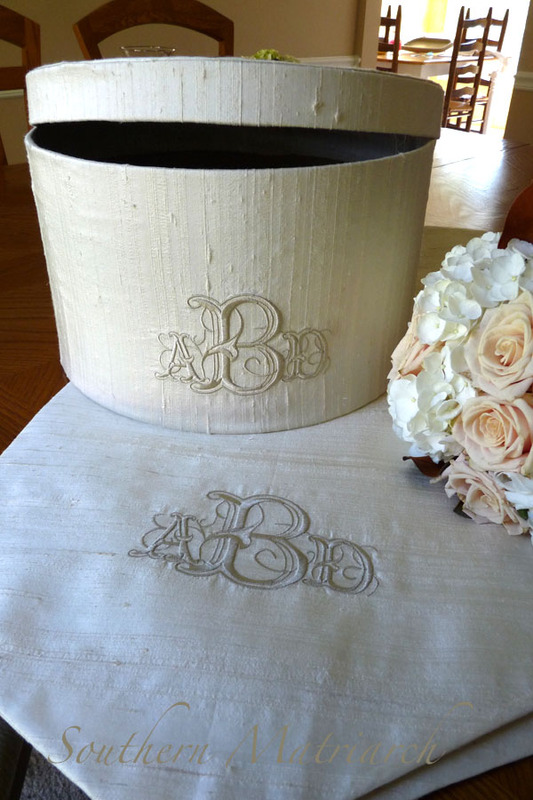 After the wedding it can be used as a keepsake box for the cards, invitations and other mementos of their wedding day. 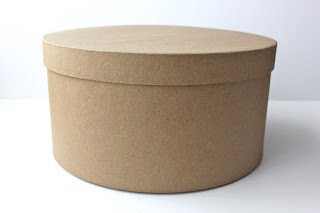 I used a paper mache box from Hobby Lobby that was a whopping $5.99. I did flub up a teeny bit and the monogram is a bit lower than I intended but I ran with it. It was easier to trace the bottom of the box onto the silk, add a seam allowance and stitch a cover instead of trying to snip, tuck and glue it on. On the inside it is adhered with double sided tape. I repeated the procedure for the lid. I was going to cut a slit in the top for the cards but decided against it. I felt like the longevity of the box's use would be better served in leaving the lid whole. I hope all is well with you faithful reader. Life here is good, I still haven't brought order back to this house. I told a friend today that it looked as if King Kong had picked the house up, shook it real hard and set it back down. The place is a disaster. Until next time, we will be rooting for these guys tomorrow. 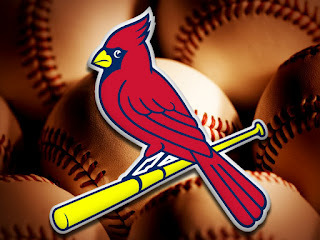 Let's hope they can repeat the magical performance of the 2011 playoffs. Love the monogram... and dupioni is amazing! Just found some chocolate brown for a fall smocked bishop... can't wait! Beautiful! I love the box idea. My oldest dd is a high school freshman. This would be cute for all those mementos she will have over the next 4 years. Love, love the monogram and all its uses! Definitely things to keep, cherish and use for many years. You know my fingers will be crossed for the Rangers, though! And aren't they lucky to have such pretty letters for their initials! 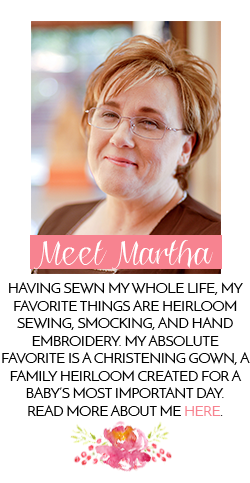 Martha the monogram is beautiful!!! All your monogrammed items are such wonderful ideas!! !